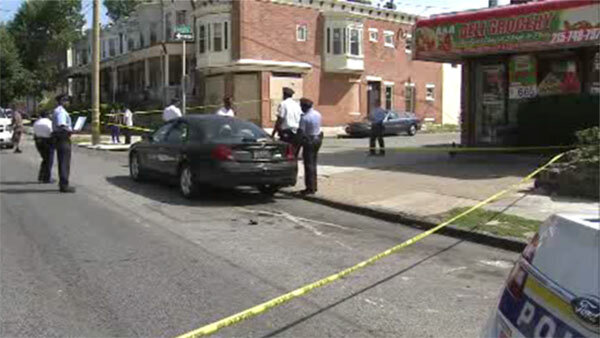 WEST PHILADELPHIA (WPVI) -- Authorities say a man was shot multiple times in broad daylight in West Philadelphia. It happened around 2:00 p.m. Friday in the 5000 block of Haverford Avenue. Police say the victim, a man in his 40s, was shot five times in the leg and once in the shoulder. Authorities say three men were seen fleeing the area on foot shortly after the shooting. They were headed southbound on Farson Street from Haverford Avenue. No word yet on a motive or any arrests.